Home » On the road. Coat of V. Mannheim. January 1922. Art deco costumes. 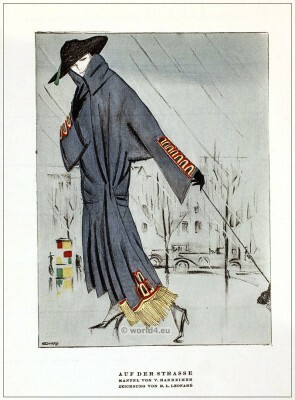 January 1922. On the road. Coat of V. Mannheim. On the road. Coat of V. Mannheim. January 1922. Drawing R. L. Leonard. This entry was posted in 1922, 20s, 20th Century, Art Deco Period, Germany and tagged Art Deco Fashion, STYL on 1/10/14 by world4.